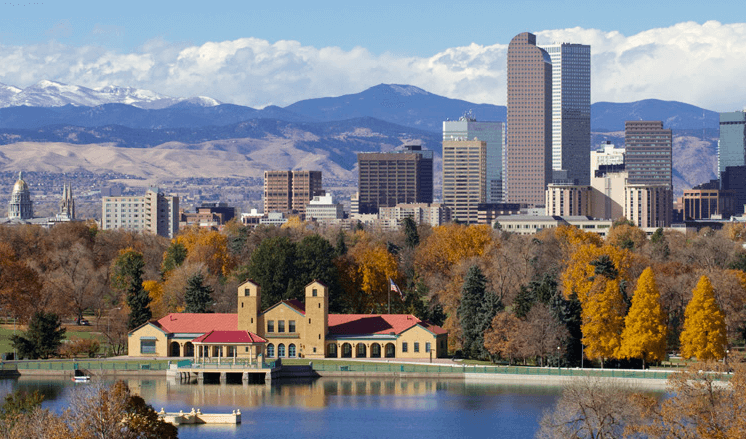 Denver, the Mile High City, is the largest city in Colorado as well as the state capital. It is frequently rated as one of America’s top ten most friendly places, with a diverse night life, exotic restaurants and plenty of music venues playing everything from jazz to dance music. Maybe best of all, it is not difficult to leave the urban sprawl behind and get back to nature. Just take an easy half hour drive and head for the mountains. Planning is essential when preparing to move out of one home and into another, and it is never too soon to start making a strategy. At least two months before the move, make a list of all main possessions and check off those items that will be making the move. For those items that need to be disposed of, list them for sale on auction sites such as eBay. Do not bother with a garage sale; they are a poor use of time and the rewards can be very low. Also, consider donating items to charity shops. Check out the area that will be near the new home. For instance, does the street have parking restrictions that will affect the unloading of moving trucks? Is there a lot of traffic at certain times of the day that would be best to avoid? Certain states, including Denver, may require the registration of some pets, such as dogs. Also, the elevation of Denver may cause breathing difficulties for those unused to the high altitude. Consider whether it is a good idea to carry out a DIY move; in some cases it may be wiser to hire a local removal company. Although a DIY move can be appealing, not least because it seems a good way to save money, it may be more trouble than it is worth to try to move bulkier items of furniture, such as beds, wardrobes and dressers. A removal company should be experienced enough to secure furniture properly inside the truck so that damage caused en route will be minimal, or preferably, zero. If moving in Denver, the workmen will be used to lifting heavy pieces at high altitudes and will not struggle as a non-native might. For smaller items, do not waste money on buying new packing boxes. Start collecting boxes early and keep an eye out for spare boxes available in supermarkets. Number each box and stick a list of the contents on the outside so that it is easy to see at a glance where the coffeemaker is, so owners will be able to easily make that first cup of Joe when finally settled into the new home . Often, a move reveals just how much stuff has accumulated in a household over the years. Consider putting items that the new home has no room for into storage if the owner cannot bear to part with them. There are many different types of storage spaces available, and they need not cost a lot of money. Simply enter cheap storage Denver into an internet search engine to find plenty of storage options for Denver.